Love it! This paper is my absolute FAVORITE. I need to get more. I'm down to only a few scraps!! Gorgeous! I've been using that cardstock forever. It usually puts my suitcase overweight when I come home from the US! lol! 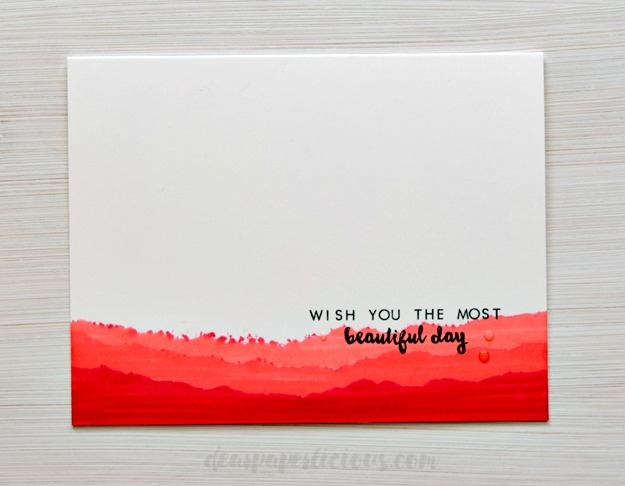 Love love love the clean simplicity of all three cards. What a great technique, made possible by Gina's awesome card stock. Scrumptious. Thanks for point me to Lydia's post too. Had seen her card on IG but loved her post. I love Gina's cardstock! Her inks are amazing,too! Beautiful! That blue one is so soothing! What a busy crafter you've been. These are all gorgeous and that's a great tip with watercolor paper, especially with a piece (or two) that I've messed up. 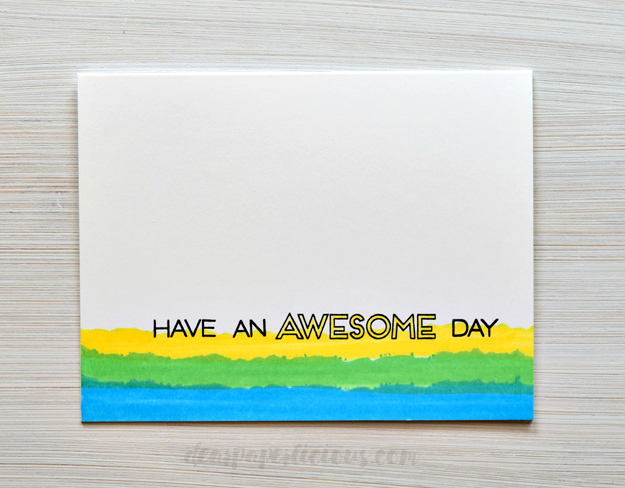 Someday I may have to try this cardstock. Loving my Neenah 110 lb, but Copics will bleed through. I can use my Prismacolor pencils, though. I love all three of your cards, Joan. 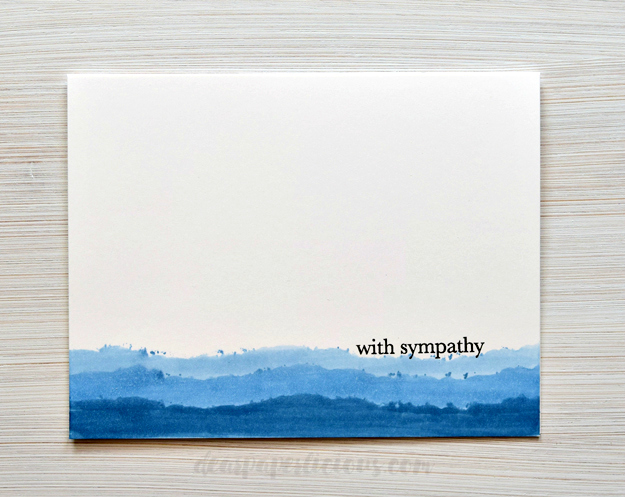 The blue is nice for sympathy, and the last one says AWESOME all over it! Yes, I checked. I just had to see to whom you directed us for 'real talent'. These cards are spectacular. Amazing that such a simple design could yield such results. You've outdone yourself, Joan. Lovely cards(all) and delightful post as always. You realize when you pointed us to real talent your other 4 fingers are pointing to you--more real talent. Nice layering technique. I'm always a sucker for shimmer. It's lovely over the watercolor. Love the simple elegance of these cards, Joan. And I ADORE Lydia - how sweet of you to link to her blog. She's amazing. I am curious to know which copic marker did you use for the bottom layer of the red card ? I think its the color that I have been searching for just couldn't figure out what number. I would love your help. Cornisha, I am not sure but I believe that is R29. I hope this is helpful! Thank you and I will at least give it a try.